Review 25 standards-based chemistry concepts in this fun and informative game. Each topic is individually packaged with 30 full-color review cards per topic. Up to 12 students, or 24 working in pairs, can engage in this stimulating quiz game that includes 12 laminated, double-sided game boards and a comprehensive Teacher Planning and Resource Guide. 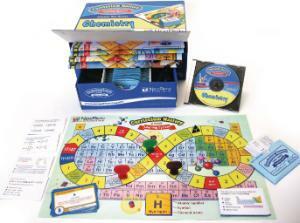 This game can also be played interactively on a computer or interactive whiteboard using the included CD featuring all 750 questions. A free trial subscription to online learning resources is also included. Kit is pre-packaged in a reusable storage container. For a complete list of topics covered, visit us online. 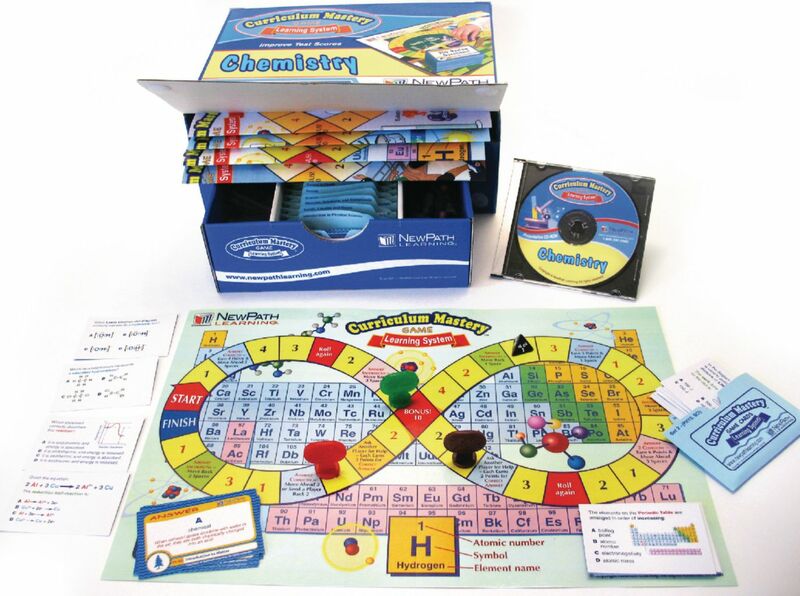 Stimulate at-home review and encourage parental involvement with the Take Home Edition, a complete set that includes all contents in the Classroom Pack with game board and materials for up to four players, plus a Teacher & Parent Review Guide.